Robert Friedland at the Voisey’s Bay nickel project in Newfoundland & Labrador. Over most of the last two decades, the first voice Peter Meredith would hear at the crack of dawn each morning was Robert Friedland’s. Meredith, who retired as a partner at auditing firm Deloitte in Vancouver to join Ivanhoe Mines full-time in 1996, says that over the following sixteen years, he was pretty much a seven-day-a-week, 24-hour-a-day guy, to keep up with his boss. Meredith says the two would confer daily on issues ranging from Ivanhoe’s ongoing discussions with various governments and agencies to overseeing the to-do lists of the company’s key executives and geologists scattered around the globe. Since their first meeting in 1982, Meredith has watched Friedland evolve from a young entrepreneur into one of the most renowned promoters in the mining business with an unrivalled collection of Tier-One assets. Robert Friedland, Ivanhoe Mines’ executive chairman and founder. In January 2016, Friedland was inducted into the Canadian Mining Hall of Fame and this year is the recipient of The Northern Miner’s Lifetime Achievement Award. This year also marks the 30th anniversary of Friedland’s Ivanhoe Capital Corp., his family’s private company, which has specialized in venture capital, project financing and related financial services. Friedland and executives within the Ivanhoe group and associated companies have raised more than US$25 billion on world capital markets. “He has always been willing to explore in places where others hesitate or where others have quit before making a significant discovery,” wrote Giardini, who met Friedland for the first time in 2006 when he joined Ivanhoe Mines as the company’s chief financial officer. 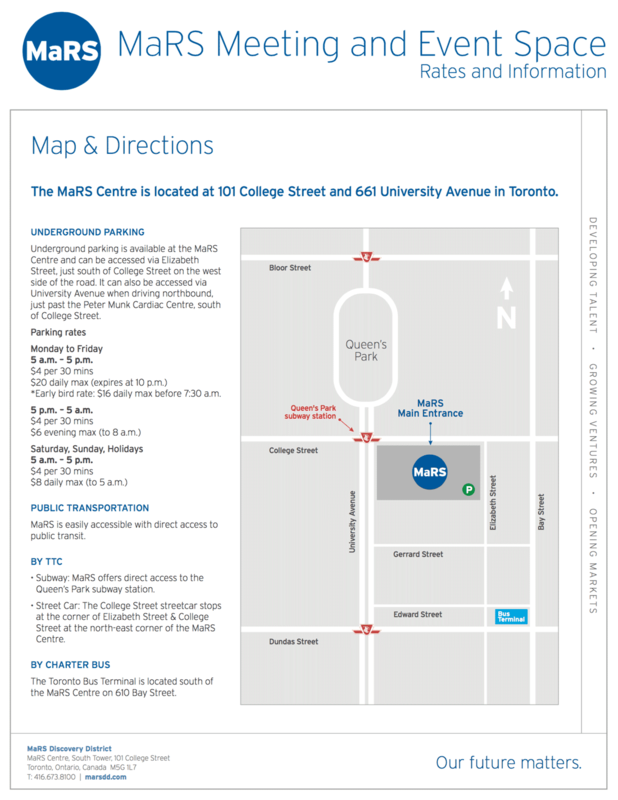 Giardini worked for Ivanhoe for six years until Rio Tinto (NYSE: RIO; LON: RIO) took control of the company in 2012 and renamed it Turquoise Hill Resources (TSX: TRQ). 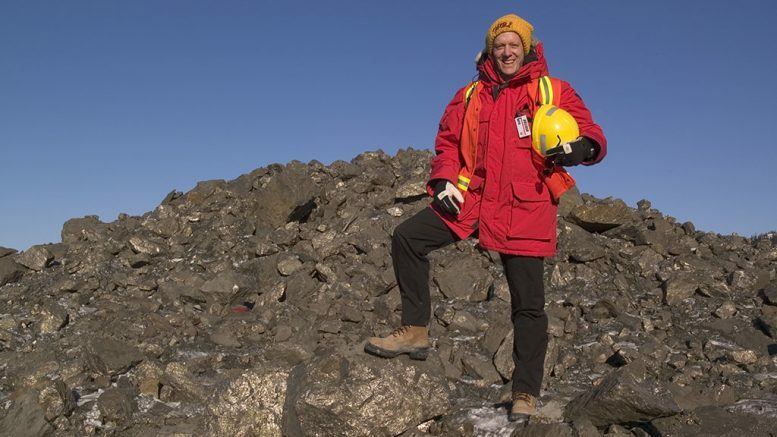 Doug Kirwin, a member of the joint discovery team for the Hugo Dummett deposit at Oyu Tolgoi (and a co-recipient in 2004 of the PDAC’s Thayer Lindsley medal, awarded for the most significant mineral discovery,) recently analyzed Friedland’s contributions to the minerals industry as part of an oral history series for the Society of Economic Geologists. After surveying 11 projects, seven of which were virgin discoveries, that Friedland and geologists have been involved with over the last 20 years, Kirwin concluded that the largest projects — Voisey’s Bay, Oyu Tolgoi, Platreef, Kamoa-Kakula and Kipushi — were worth hundreds of billions of dollars. Pit stripping and excavation activity at Turquoise Hill Resources’ Oyu Tolgoi copper-gold project in Mongolia’s South Gobi desert. Sources: Turquoise Hill Resources. Kirwin met Friedland 17 years ago in Laos. Friedland had heard of the talented geologist and was aware of his experience in Southeast Asia. At the time, Kirwin was working in Vientiane with a consulting group that had a survey contract for the Mekong River Bridge. “He requested to meet with me and I did some consulting for his company called Indochina Goldfields, which later became Ivanhoe Mines,” Kirwin recalls in an interview from the Philippines where he is doing field work. Kirwin joined Indochina Goldfields in 1995 as vice-president of exploration and subsequently became the executive vice-president for Ivanhoe Mines until 2012. The geologist also was a director for three other companies that Friedland launched — SouthGobi Energy, now SouthGobi Resources (TSX: SGQ; HK:1878), one of the largest coal producers in Mongolia with the massive Ovoot Tolgoi coal deposit); Jinshan Gold Mines (whose CSH gold mine in Inner Mongolia began producing gold in 2007 and was later acquired by China’s largest gold producer, state-owned China National Gold); and Ivanhoe Australia. The award-winning geologist also points to the international financier’s knack for attracting deep-pocketed Asian partners, whether it be China’s Zijin Mining or various Japanese conglomerates, and cites his practice of amassing as much ground around his projects as possible. A good example of that, he says, was in southern Mongolia’s Gobi desert. Kirwin also notes that Friedland understands cycles better than most and never buys at the top. One illustration, he says, is the Cloncurry copper-gold project in Australia, which Kirwin says Friedland picked up out of receivership for about US$4 million and later floated it as part of Ivanhoe Australia for US$125 million. 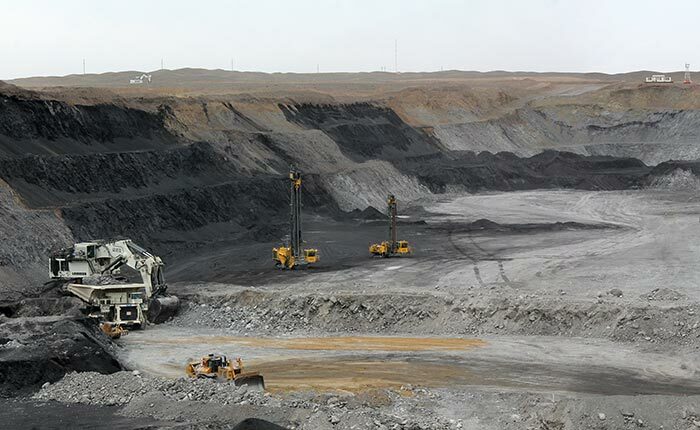 SouthGobi Resources’ Ovoot Tolgoi coal mine in Mongolia. Credit: SouthGobi Resources. Egizio Bianchini, vice chair and co-head of BMO Capital Markets’ global metals and mining group, first met Friedland in the summer of 1984, when he was a young MBA student and Friedland was promoting one of his few career failures, Galactic Resources. Later, as a research analyst, Bianchini followed the various iterations of Friedland’s companies, before starting to work with him on the banking side in 2001. “He’s a dreamer and the glass is always half-full,” Bianchini says, adding that Friedland is also a “workaholic” who always manages to keep many steps ahead of the competition. Ian Telfer, who along with Friedland is a member of the Canadian Mining Hall of Fame with a distinguished and lengthy track record of success at companies such as TVX Gold, Wheaton River and Goldcorp, recalls bumping into Friedland from time to time in the early days of their careers. The two men got to know each other well over the following years while Friedland was a Vengold director between 1993 and 1997. Those who know Friedland well, talk about his work ethic, persistence, intelligence, ability to absorb new information, and his almost photographic memory. They also point to his ability to learn from failure and never make the same mistake twice, his tolerance of exploration failure, his mantra of finding the best people to work for him, his hands-on management style, his motivation and rhetorical skills, and his pushing of time frames. Some also note that he doesn’t suffer fools and is sometimes perceived as challenging or difficult. 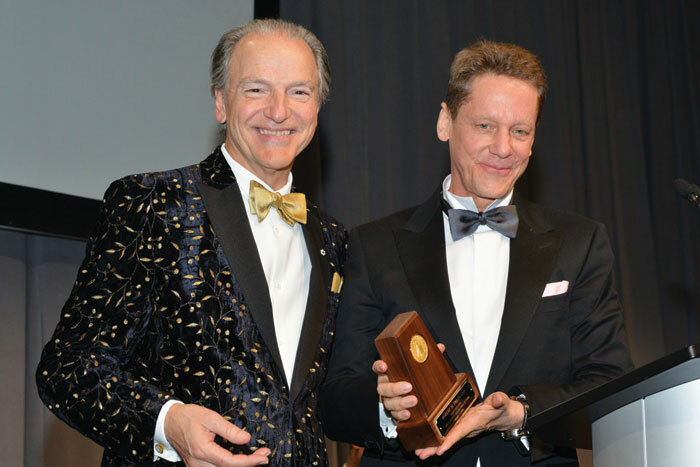 Pierre Lassonde (left), Franco-Nevada chair, with CMHF inductee Robert Friedland. Credit: Keith Houghton Photography. President and CEO of Sprott U.S. Holdings Inc., Rick Rule, who has negotiated with Friedland for over three decades, has learned that he can’t take no for an answer. The Northern Miner caught up with Friedland at his principal residence in Singapore. He has lived in the tiny Southeast Asian nation for the last 24 years, but typically spends on average ten months a year on the road attending to his various business interests. He clocks about 1,000 hours in the air each year—enough time to circumnavigate, non-stop, around the equator more than 20 times. Roughly 80% of his air travel is on one of his two private jets—a Gulfstream G450 and a Bombardier Global 6000. Like many billionaires—Forbes estimates his wealth at about US$1.3 billion—Friedland has a number of residences, including in London, Beijing, Phuket in Thailand, and Japan. He also owns an ultra-luxurious boutique hotel in the town of Positano overlooking the Tyrrhenian Sea on Italy’s scenic Amalfi coast. Friedland acquired the Villa TreVille boutique hotel in Positano in 2013. The hotel sits on a two-hectare cliff-face and has 15 distinctive suites in four elegant residences. Formerly, it had been the home of opera director and film-maker Maestro Franco Zeffirelli, and Friedland has turned it into “one of the most sought-after—and difficult to procure—bookings in southern Italy, with a client roster as thick with high-wattage names as a Vanity Fair Oscar party,” Maria Shollenbarger writes in The Financial Times. Friedland doesn’t seem to relish media interviews and when asked about his serial accomplishments, and whether he still feels driven to find another Tier-One deposit, says it doesn’t really work that way, and that it isn’t all about him. Oyu Tolgoi is a good illustration of that. It took five years between the time Ivanhoe first entered Mongolia’s Gobi desert to its first real discovery hole in 2001, he says. It was another ten years from the discovery hole until the start of construction. Now it’s 2017 and it’s been about 21 years since Ivanhoe first set foot in the country, and the mine is still being expanded into one of the largest tier-one copper and gold mines in the world. 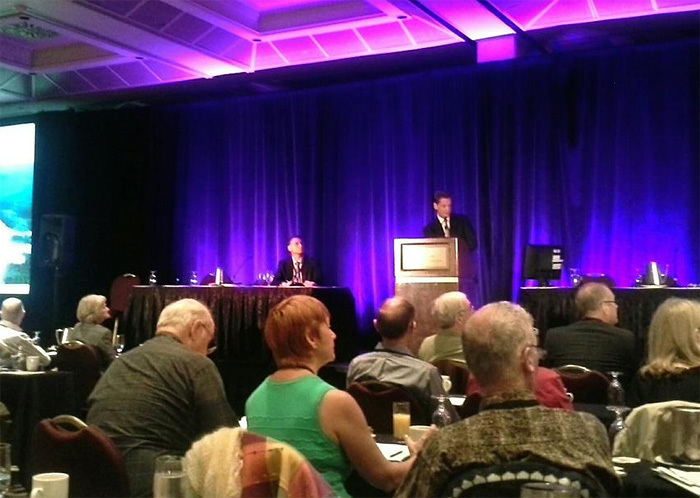 Robert Friedland of Ivanhoe Mines talks “Mega Wealth Through Mega Discoveries” at the Sprott Natural Resource Symposium in Vancouver in late July. Photo by Matt Keevil. “We’re trying at all times to anticipate very large trends, such as the rise of China, the impact that China will have on the world, on the world’s economy, and on the world’s ecology, and what the technological response would be to those very large trends,” he explains. The company can then look at the periodic table of elements, he says, and see which ones are more or less attractive, and by implication, which minerals are more or less attractive. Toxic air is one of the world’s most serious problems, and sickens more people than anything else, he says, while causing roughly US$5 trillion annually in economic damage. He points to growing asthma in children and cites research published in The Lancet, a peer-reviewed medical journal in the U.K., which suggests there is a link between air pollution and dementia. In China, one of the world’s most polluted countries, the sub-2.5-micron fine-grained particulates related to exhaust from cars, buses and trucks, have put the Chinese leadership on edge, he says. “When you get urban air pollution in China, [and] the sub-2.5-micron particulates get to 300, 400, 500, 600, 700 points, which is anywhere from 10 to 40 times higher than the highest allowable standards by the World Health Organization, people in China complain about it,” he says. One obvious response is the electric car and the wholesale electrification of the entire transportation industry. In addition, Friedland believes that the next wave of government fiscal stimulus will be channeled into problems associated with global warming, the modification of electrical grids, and cleaning the air. The central banks “have pretty much exhausted the limitations of monetary policy,” he argues, and while they have made money, to a greater or lesser degree, free, another round of fiscal stimulation, or deficit spending, will be required. 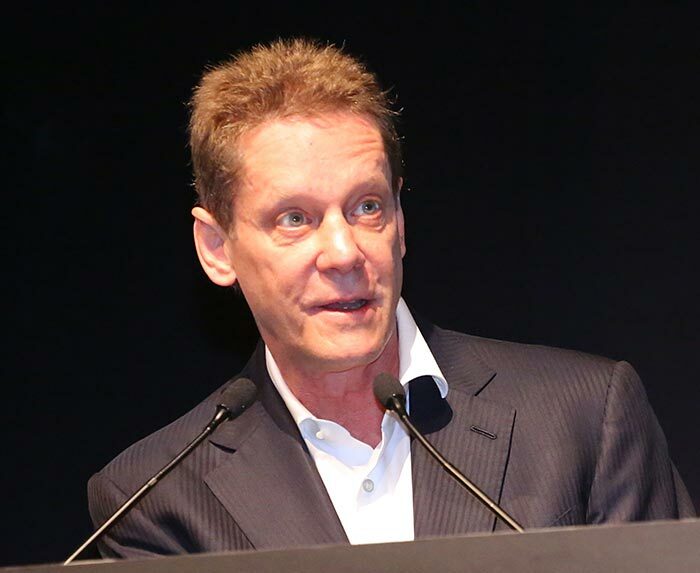 Friedland, who first went to China in 1981, recognized early on that China would become one of the world’s most powerful economies and a rich source of capital and strategic partnerships for his mining endeavors, but also that it would play a leading role in both polluting the air and driving creative solutions to clean it. As evidence, he points to China’s internet giant, Tencent Holdings, which in April acquired a 5% stake in electric car maker Tesla. He is quick to note that Tencent has a market capitalization of about US$250 billion, the largest of any company in China. 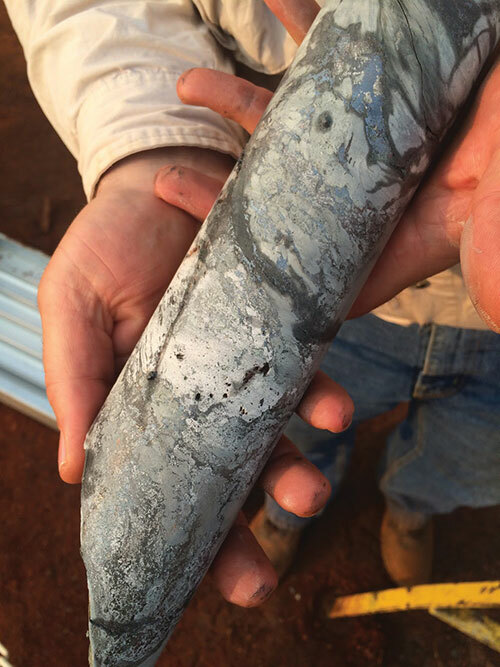 A drill sample of chalcocite-rich mineralization (nearly 80% copper by weight) intersected at 619 metres in the Kakula discovery zone. Credit: Ivanhoe Mines. Friedland reasons that the electrification of the transportation industry will come in two forms: Battery-powered plug-in electric vehicles, which get their power from a grid and stored in a battery; and hydrogen fuel cells. Vehicles that are driven by exothermic hydrogen fuel cells use a proton membrane and are pollution free because the only thing that comes out of their tailpipes is water. Both technologies are copper intensive, while hydrogen fuel cells are platinum intensive. Platinum is used in the proton exchange membranes in a hydrogen fuel cell, “and no one has been able to replace it,” he explains. Of all the elements in the periodic table, however, the one that will benefit the most from the electrification of the world economy is copper. “Copper conducts electrical energy better than anything else on the periodic table, except for gold and silver, which are too expensive for the generalized purpose rather than the specialized purpose,” he says, adding that copper is going to be far more valuable in the coming years than it is today in real terms. Friedland warns that most of the world’s great copper mines are in a state of decline and that there will be a crisis in supply in the next five or ten years, a proposition with which most major mining companies like Rio Tinto and BHP Billiton (NYSE: BHP; LON: BHP), agree. He also advises that higher real copper prices are need to fuel exploration and development. Two other metals that have bright futures in the growing market for electric batteries are nickel and cobalt. In the battery industry, however, the metals aren’t used directly, rather the salts or oxides of those metals are used: nickel sulphate and cobalt sulphate. For the record, Friedland also points out that lithium batteries are “profoundly misnamed,” given that, at the current price suite, just 4% of the raw material by cost in a lithium battery is actually lithium, he says. About 80% is nickel sulphate and roughly 15%, plus or minus, is cobalt sulphate. 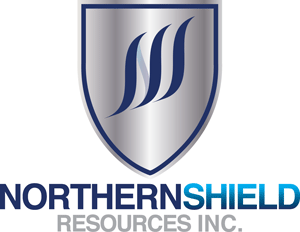 In 2004, Ivanhoe Mines acquired the Syerston nickel-cobalt-scandium project in Australia. The project is one of the largest and highest grade undeveloped nickel and cobalt resource outside Africa and also contains the world’s largest and highest grade scandium resource. 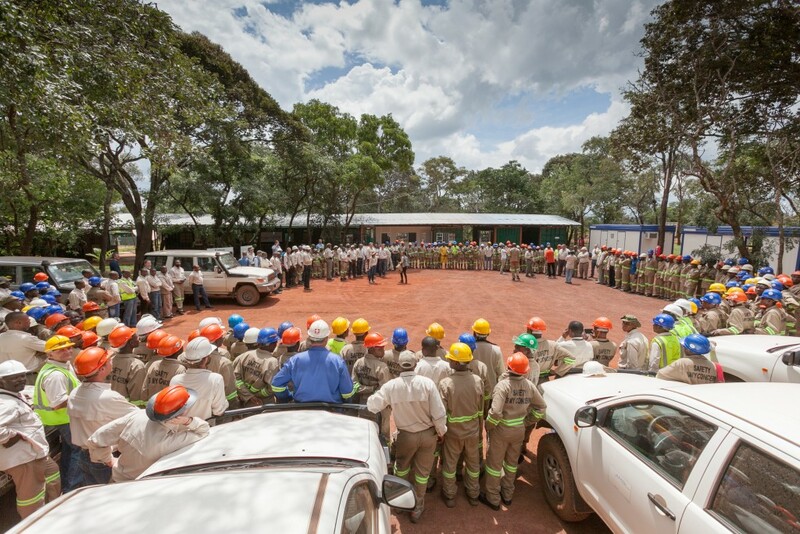 Local employees and expats gather at Ivanhoe Mines’ Kamoa copper project in the DRC in 2014. Credit: Ivanhoe Mines. Syerston will be the first mine dedicated to producing the raw materials needed to produce nickel and cobalt sulphate for use in batteries, Friedland says, while scandium oxide will be used to produce lighter and stronger aluminum alloys for the aerospace and automotive industries. Ivanhoe sold its interest in Syerston in 2014 to Australia-based Clean TeQ Holdings (US-OTC: CTEQF; ASX: CLQ), in order to focus on its three mine development projects in Africa. Ivanhoe received A$1 million worth of shares in Clean TeQ, an A$3 million promissory note, and retains a 2.5% net smelter return royalty on the project. Friedland joined Clean TeQ’s board as co-chairman in 2016, and says management may pursue a Canadian listing. Perhaps one of Friedland’s biggest passions these days, however, is a privately held technology company called I-Pulse that he has worked on for close to 15 years with his partner and mentor, Laurent Frescaline, an engineer and scientist focused on plasma physics. Frescaline, who received France’s Chevalier de l’Ordre National du Mérite for his defence-sector work, cofounded the company with Friedland in 2007. It is 51%-owned by Ivanhoe Industries. I-Pulse has developed disruptive ways to use electrical energy and has a valuation north of US$1 billion, which makes it a unicorn, Friedland says. The technology involves the utilization of proprietary components to compress electrical energy in extremely large bursts of power that require very small amounts of electrical energy. The technology works by repeatedly compressing and releasing pulses of electrical energy in billionths of a second. The extremely high-powered discharges can generate precise shockwaves directed to enhance oil-well production; generate electrical fields that reveal chargeable or resistive mineral deposits, or liquid reservoirs, at depth; shape and assemble metals to previously unachievable degrees or precision, and crush rock containing minerals or gemstones with significantly reduced energy requirements. In terms of the technology’s ability to shape and assemble metals, Friedland says, it has got the company into the heart of the aviation and automobile industries. 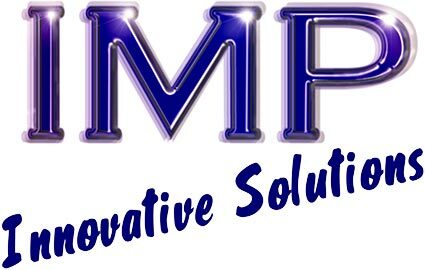 In addition, the technologies I-Pulse is developing enable more effective exploration for metals, oil and gas, and water through a division of the company called High Power Exploration (HPX), a private mineral exploration company that Friedland heads as CEO. The company’s Typhoon data acquisition system is an accurate and powerful induced polarization and electromagnetic geophysical survey technology. The I-Pulse group of companies also processes the induced polarization and electromagnetic signals HPX gets from that technology and uses it in its software division, Computational Geosciences, based in Vancouver. Computational Geosciences is a world leader in the inversion and manipulation of geophysical data—a key tool for mineral exploration. HPX also holds a controlling interest in Pu Neng, a Beijing-based developer and manufacturer of advanced energy storage systems. Pu Neng has invested about US$90 million on vanadium redox battery systems and has installed 51 units at home and abroad. One unit is part of a demonstration project operated by China’s State Grid Corporation, which is producing and storing energy generated from wind and solar sources. “We’re very deeply interested in how you store electrical energy in the grid,” he adds. “The beauty of the vanadium redox battery is that you can charge and discharge it at the same time, something that can’t be done with a lithium battery. With a vanadium redox flow battery, you can put solar power and wind power into the battery, and you can put excess grid power into the battery at night, and at the same time you can have a stable output into the grid. Looking ahead, another commodity Friedland is keen on is water, and he is confident that I-Pulse technology will help find more of it. When asked what he hopes his legacy will be, Friedland pauses for a split-second. Robert Friedland and Teck’s Norm Keevil at the Voisey’s Bay nickel project in Newfoundland & Labrador, in 1995. Most observers close to Friedland say the 66-year-old shows no signs of slowing down. Bianchini, ten years his junior, describes Friedland as having the energy of a 40-year-old and says he doesn’t see him stopping for the next ten years. For his part, Friedland takes care of himself—exercising regularly and often. Friedland is convinced that one’s lifespan is directly related to how much walking one does each day. Ultimately, slowing down is just not an option. 1973: Travels to India and studies under Neem Karoli Baba, also known to his followers as Maharaj-ji, a Hindu guru and mystic. 1974: Graduates with a Bachelor of Arts degree in political science from Reed College, a private liberal arts college in Portland, Oregon, where he also served as president of the student council. 1974-1978: Spends time on his uncle’s apple farm outside Portland. 1978: Catches the mining bug after finding himself in an abandoned drift at the inactive Warner gold mine in Oregon. 1980: Founds Galactic Resources with the past-producing Warner mine as its cornerstone asset. 1992: Leads discovery and sale of Fairbanks Gold’s Fort Knox gold deposit in Alaska to Amax Gold for US$152 million. (Fort Knox, now owned by Kinross Gold, poured its seven-millionth ounce of gold in 2016 (its 20th year of operation)). 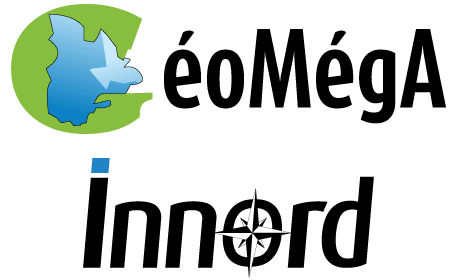 1992: Co-founds Diamond Fields Resources with Jean-Raymond Boulle, and promotes the company’s hunt for diamonds and base metals. 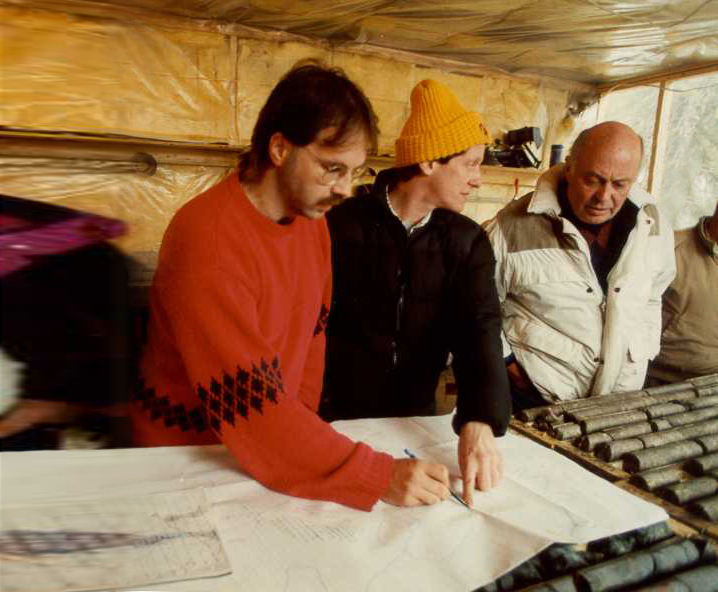 1996: Prospectors Albert Chislett and Chris Verbiski, who made the Voisey’s Bay nickel discovery in Newfoundland & Labrador while conducting exploration for Diamond Fields Resources, share PDAC’s Bill Dennis Award for prospector of the year. As co-chairman of Diamond Fields, Friedland negotiates the sale of Voisey’s Bay to INCO for C$4.3 billion. Voisey’s Bay starts production in 2005 and is the world’s fourth-largest nickel producer. 1996-2012: Ivanhoe Mines and subsidiaries are active in exploration and/or mining in Mongolia, Australia, China, Myanmar, South Korea and Fiji, discovering resources for: the Modi Taung gold mine in Myanmar; the Eunsan and Moisan gold-silver mines in South Korea; the Seryung gold mine in Indonesia; and the Merlin molybdenum-rhenium deposit in Australia. Expands previously identified copper resources at the Monywa project in Myanmar; confirms and expands the Big Zinc deposit at the Kipushi zinc-copper mine—upgrading the project in the Democratic Republic of Congo; and develops the CSH gold deposit in China’s Inner Mongolia region. 1998: Friedland restructures African Minerals to advance mineral prospects in Sub-Saharan Africa, with a focus on platinum-group metals. 2000: Ivanhoe Mines begins first drilling program at Oyu Tolgoi in Mongolia, after negotiating the right to acquire ownership of Oyu Tolgoi from BHP Billiton earlier in 2000. BHP, weighing uneconomic drilling results, opted to cut spending and seek a buyer for its Mongolia venture in 1999. 2000: African Minerals begins initial exploration on its Platreef prospect in South Africa’s Bushveld, resulting in subsequent discoveries of shallow resources. 2001: Ivanhoe drills its initial discovery hole at Oyu Tolgoi’s Southwest Oyu zone, leading to a decade of discoveries that reveal a 12.4-km-long chain of world-class copper and gold deposits. 2004: Ivanhoe geologists Douglas Kirwin, Charles Foster and Garamjav Dondog receive PDAC’s inaugural Thayer Lindsley award for their discovery of the huge, deep and higher-grade Hugo Dummett deposit, currently being developed for production as the underground, second phase of the Oyu Tolgoi mine. 2007: Ivanhoe-controlled Jinshan Gold Mines begins production from its CSH mine in China. 2008: Ivanplats (formerly African Minerals) makes initial copper discovery at its Kamoa project in the DRC, marking a significant westerly extension of the Central African Copperbelt. 2008: After acquiring its initial interest in 2002, Ivanhoe Mines sells its 42% stake in Jinshan Gold Mines to China National Gold Group for C$217 million. 2010: Construction of the open-pit mine at Oyu Tolgoi begins. 2010: Ivanplats’ deep exploration at Platreef project yields discovery of the Flatreef deposit in South Africa. 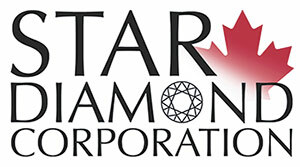 2012: IPOs Ivanplats and raises C$306 million—largest Canadian mining IPO since 2010. 2012: Rio Tinto acquires control of the original Ivanhoe Mines and renames it Turquoise Hill Resources, surrendering the Ivanhoe brand name to Friedland. 2013: Ivanplats assumes the Ivanhoe Mines name in a strategic corporate alignment. 2013: Production starts at Oyu Tolgoi’s phase one open pit. 2015: Ivanhoe’s exploration team, led by David Broughton and Thomas Rogers, receives PDAC’s Thayer Lindlsey award for the first of two major copper deposits found at the Kamoa-Kakula project in the DRC. Construction of an initial mine began in 2014. Kamoa-Kakula is the largest high-grade copper discovery in the world and the largest copper discovery in the history of mining on the African continent. China’s Zijin invests US$412 million to acquire half of Ivanhoe’s interest in Kamoa-Kakula. Ivanhoe and Zijin each now own 39.6% and the DRC government 20%. 2016: Oyu Tolgoi produces 201,000 tonnes of copper, 300,000 ounces of gold and 1.4 million ounces of silver from open-pit ore. But 80% of the deposit’s mineral wealth is deeper underground, where copper grades are 360% higher than those in the start-up open pit. Initial underground production is expected in 2020. 2016: Completes resource estimate on Ivanhoe’s Kipushi project. Kipushi’s zinc grades of 35% are more than twice as high as the world’s next highest-grade zinc project. The historic Kipushi mine originally began production in 1924. 2017: Ivanhoe geologists Sello Kekana and David Broughton, receive 2016 Colin Spence Award recognizing their role in the discovery of the Flatreef deposit, part of Ivanhoe’s 64%-owned Platreef project. The ore body is as high as an eight-storey building, and Friedland says there’s enough ore to mine Platreef for 100 years. The deposit is flat, thick, high-grade, shallow and mechanizeable. Mine construction is underway. Be the first to comment on "Robert Friedland: Celebrating a lifetime of achievement"